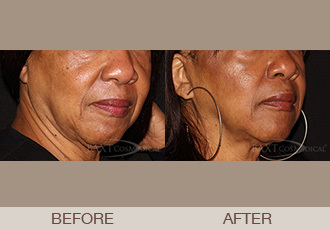 Ultherapy® is a non-surgical ultrasound treatment to tighten the skin on the face as well as other parts of the body. The Board Certified Dermatologists at Baxt CosMedical® have found this system to be very effective. Ultherapy® is an effective anti-aging treatment for all skin types and skin colors. Schedule your complimentary Ultherapy® non-surgical skin tightening consultation by contacting us online or by calling 201-265-1300 today.